At Woollinn, we wanted to celebrate how rich Ireland is in talent when it comes to traditional handcrafts. 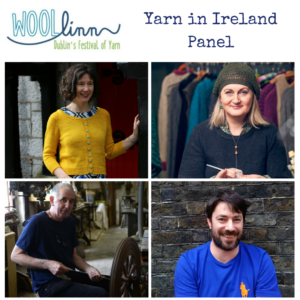 To help us gain a deeper insight to yarn in Ireland, we have put together a panel of Irish designers Edel MacBride and Carol Feller along with master wheelwright Johnny Shiels and one of a few Irish hand-dyers to produce 100% hand-dyed Irish wool from sheep to skein, Diarmuid Commins. On Saturday morning at 11 am, you can come and join us for this free Q&A presented by Nadia Seaver of the Cottage Notebook blog and podcast, where you will have a chance to ask these artists about their lives and their work. The session will run for an hour where each guest will speak for 10 minutes before we open up the floor to you. 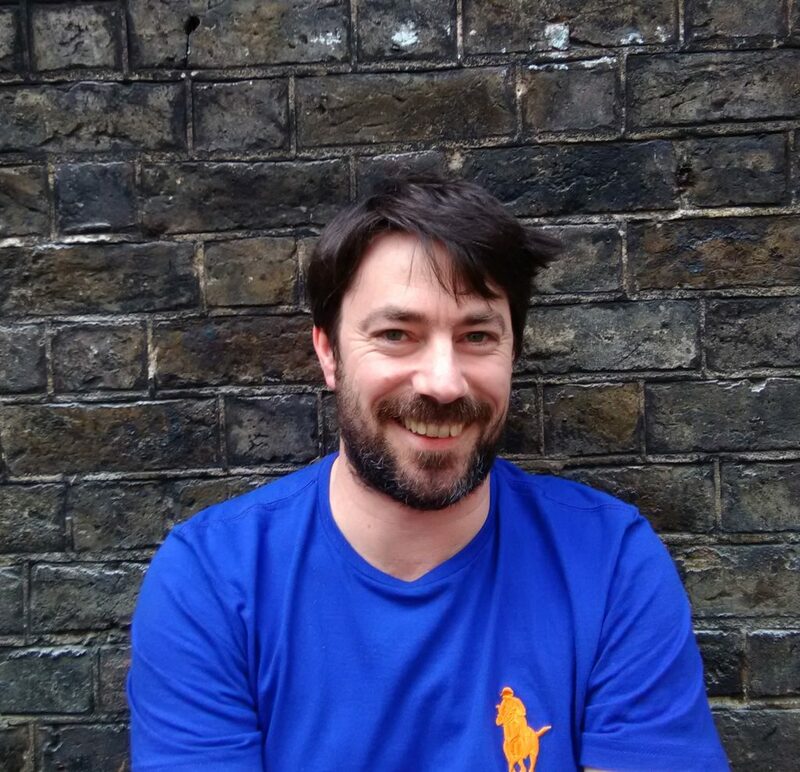 So if there is anything that you have always wanted to know about professional knitwear design, Irish wool production or handcrafted spinning wheels, this is the place to be. As mentioned this is a free event and if you wish to attend please register your interest here. 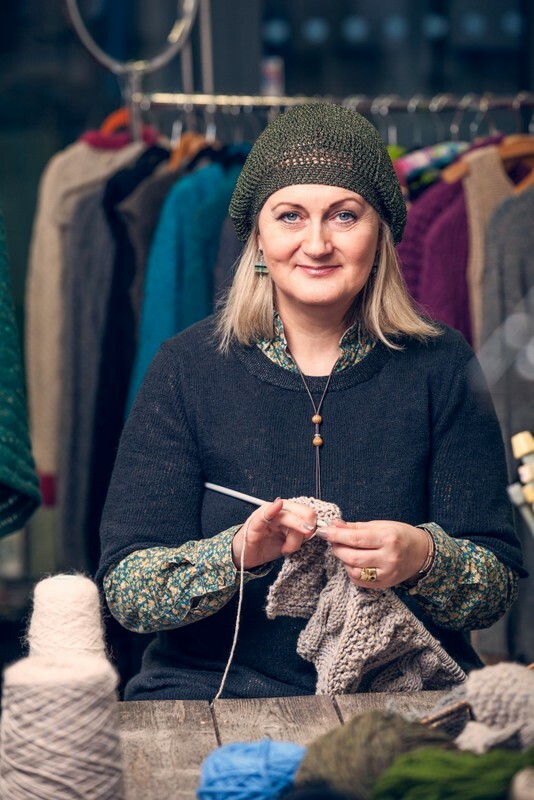 Growing up with the tradition of Aran knitting at home in Donegal coupled with extravagant 1970’s fashion direction at her grandmother’s busy sewing shop led Edel MacBride to study fashion at Limerick School of Art. A knit coat brought her international attention and her knitwear was the winner of the Late Late show designer of the year in 1995. Edel was a mentor for knitting on RTE’s Craft Master series 2013. 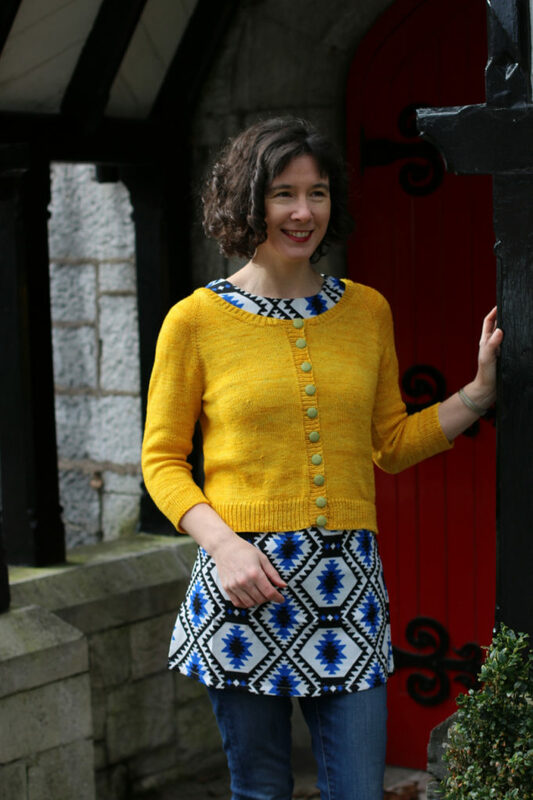 Besides her label which sells online and at Derry Craft Village (since 1989) Edel is passionate about her craft and it’s connection to both history and Irish women in particular. A speedy knitter who you’ll never find with a cable needle! Edel and her studio offer core workshops on the KnittingTours.com programme. Carol Feller (StolenStiches.com) is a designer, teacher, and author living in Cork, Ireland. She has published almost 270 patterns and 7 books, including Short Row Knits (Pottercraft) and Contemporary Irish Knits (Wiley), and is a popular instructor on Craftsy.com with almost 400,000 students. She regularly teaches in yarn shops, fibre festivals, knitting retreats and tours, covering a wide variety of basic and advanced skills including chart reading, garment shaping, short rows, cables, and colourwork. Carol first learned to knit in primary school, and there here is a strong history of crafting in her family. In university, she trained as a textile artist, and then as a structural engineer. Both of these backgrounds influence her work, which uses innovative construction methods to create well-shaped and flattering objects that are intuitive and enjoyable to knit, and that make the most out of carefully chosen yarns. She strives to help knitters create beautiful and unique products that they will love to use. Johnny Shiels is a third-generation spinning wheel maker. His grandfather, Johnny, was making spinning wheels back in the 1940s, using timber washed ashore on the beaches around his native Inishowen. 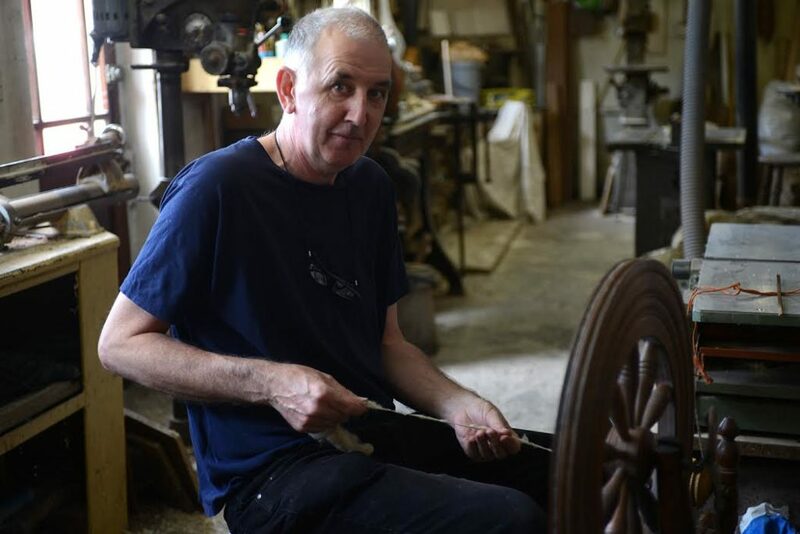 Like his grandfather and father, Johnny makes Dutch-style wheels in his workshop in Bridge Street, Carndonagh, not far from Ireland’s most northerly point, Malin Head. These Dutch wheels were introduced to Ireland in the 18th century and used for spinning flax. The work of the Shiels family is widely-known, and has been featured in the book, ‘Ireland’s Traditional Crafts’. RTÉ also featured the Shiels family in one episode of their award-winning traditional crafts series, ‘Hands’. Johnny now hopes to encourage his own sons to continue the family tradition. S Twist Wool is a small, indie yarn company based in Carlow. They work with sheep farmers around the country to make their yarns from the best of Irish wool. S Twist have a strong focus on environmental practices along with sustainability. All of their natural dyes are gathered locally and the wool is washed using a natural fermentation method ensuring that no harmful chemicals are used. All the washing is done by hand and the wool is dried in the open air. S Twist are delighted to be launching our new range of naturally dyed yarns at Woollinn. Already have questions for the Q&A panel? Then pop over here and reserve your place now. 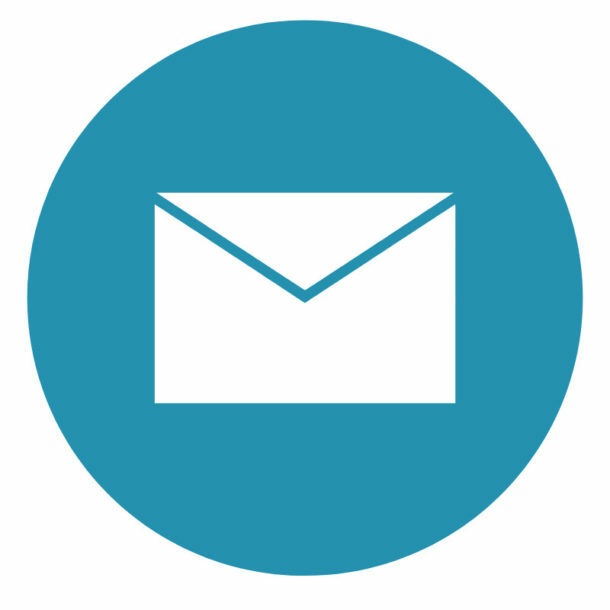 There will be more information about our Irish Panel in your Woollinn programme and of course, you can keep up to date with all things Woollinn using our social media channels below and by signing up to our newsletter here. Don’t forget that our gorgeous prize pack is still up for grabs and if you are planning a #woollinwardrobe come on over to the Woollinn KAL on Ravelry. I was reading the news page and was surprised to see that you were promoting Diarmuid Commins as, and I quote: the only Irish hand-dyer to produce 100% hand-dyed Irish wool from sheep to skein, Diarmuid Commins. This is false as I for one produce wool from my own sheep, hand dye it and hand spin it into wool for sale to the public. I do all of this work myself, without help from a mill, etc. I also know of at least two other women who produce their wool from their own sheep and have it for sale. Looking forward to attending the first and future Woolinns. Thank you so much for your comment and for letting us know about your own adventures in wool 🙂 My apologies if the description of S Twist Wools was misleading – I’ll get that looked at and amended by our web team. Looking forward to welcoming you to Woollinn in a few weeks’ time.